On site parking with complimentary valet service. 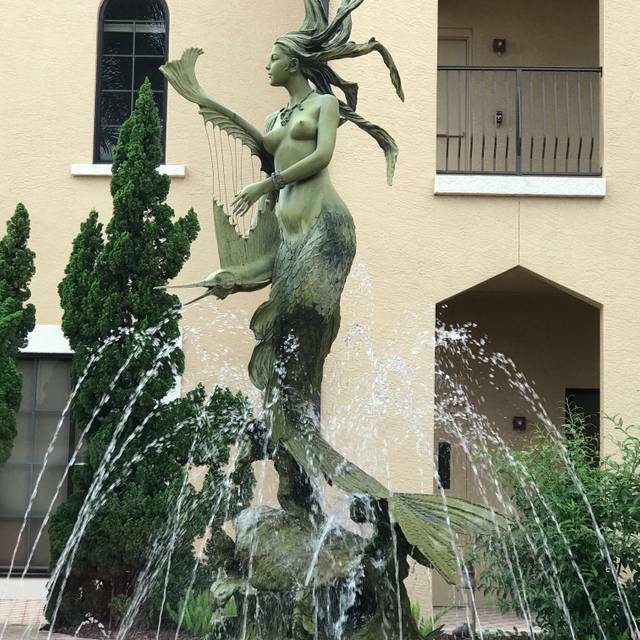 Enjoy live piano music in the Lounge at Angelina's 4-5 nights per week; please call 239-390-3187 for updated music schedule. We feature wine dinners once per month plus a variety of other delicious and fun events as well. Please visit AngelinasOfBonitaSprings.com and choose "Specialty Events" for details. We have ideal settings for business meetings, seminars, and private parties. Our experienced staff provides superb catering and service for a flawless event, exceeding your expectations. Three comfortable meeting rooms each allow for seating for up to 50 and are equipped with A/V at no extra charge. Benvenuti Angelina’s! Thank you for choosing Angelina’s. We serve only the finest products available, from prime steaks to our hand-made pastas and rustic house-baked bread. Our Chef utilizes the freshest ingredients to create a culinary experience unlike any other. For table requests and special event reservations, please call 239-390-3187. Consistently awarded Wine Spectator Magazine's 2-glass "Best of Award of Excellence," our wine menu was developed to complement and enhance your menu choices; our highly-qualified staff and Sommelier can assist you in choosing that perfect bottle of wine. Our dress code is Business Casual, no shorts and no open-toed shoes for men. Dressy denim with a dressy top is acceptable, but please always dress to impress when you choose Angelina's. 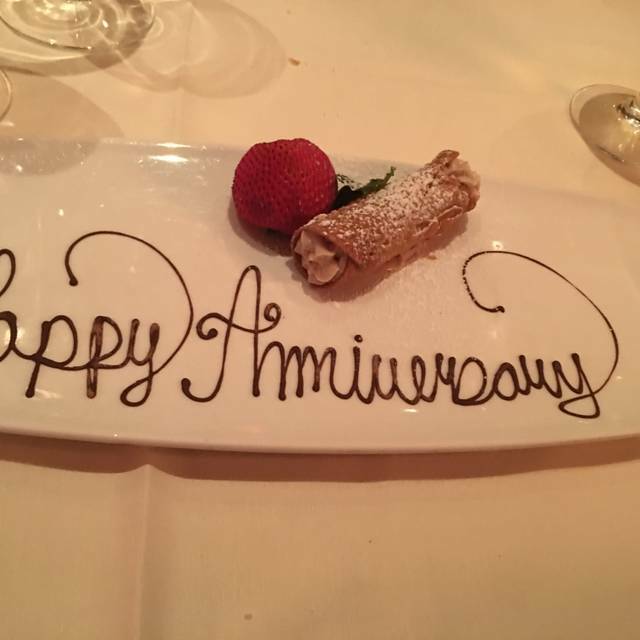 Mother's Day at Angelina's Ristorante is Always Memorable! Serving Our Annual Mother's Day Brunch from 11:00am - 2:00pm with our last seating at 1:45pm. Our Pre Fixe Menu Will Include An Antipasti Station That You Will Help Yourself To, Followed By Three Courses. $75 Adults / $25 Children 4-12. I had asked for a private booth but not early enough. We were given an open booth but it was noisy. Stephanie was able to seat us in a quieter area and it worked out very well. We chose the prix fix menu and the choices and food were excellent. Consistently good in all regards. Place was beautiful but very poor acoustics. Very noisy. Food was good but the best I've had. Alcohol beverages were very expensive. Service was excellent and so was the waiter Dini. Wine list (book) was too big and bulky and as a result, caused the water glasses to be toppled over. Overall, food preparation was a bit exotic and could stand to be simplified. The only word I can use to describe Angelina's is exquisite! The food is an upscale Italian epicurean delight. Dinner was served in a timely manner and the temperature of the food was deliciously hot...no room temperature soup and warmed over entre. This restaurant in my opinion is the BEST of southwest Florida. It is romantic and decorated tastefully, one can actually have a conversation as the noise level is to a bare minimum. The tower of wine as one enters is majestic. Treat yourself to dine here. You will not be disappointed. Our favorite in the Naples area. This is a great restaurant! Have gone 3 times in April with 3 different couples and all have said it was their best meal. I joked to the manager that I wasn't fond of Broccolini, he immediately went to the kitchen and brought back green beans and zucchini. Old fashioned service with excellent food. We will be back!!! Excellent food excellent service a great place to dine. This is our most favorite restaurant when we stay in Naples. It is a wonderful restaurant with wonderful food and the best wait staff ever. 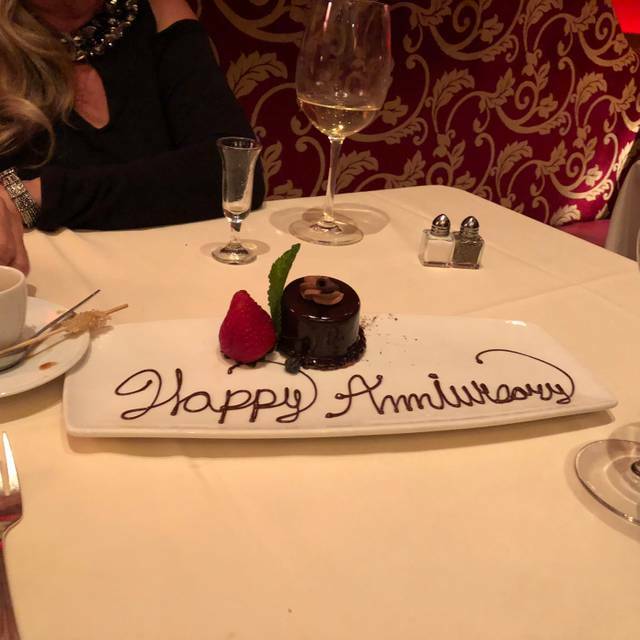 We have always had wonderful dinners and service! Our server Antonio was outstanding! He moved to Florida from Italy in October and is an exceptional server and an excellent communicator. The meal was good, not great. For the prices that Angelina's charges I was expecting something special. This was our 2nd visit and we've tried different appetizers and entrees and had hoped to be blown away. I will say that my appetizer Ragu Misto was outstanding. I now wish that I had ordered it as my entree. I had the Scallops and Pork Belly entree and my wife had a caesar salad and Veal Marsala. We both enjoyed our meals but both felt that they were just ok. It was also very loud in the restaurant and it was sometimes difficult to hear what our guests were saying. None better. If you can get one of the booths, you will have a great dining experience. Food is just outstanding! Four of us enjoyed a very good dinner recently. 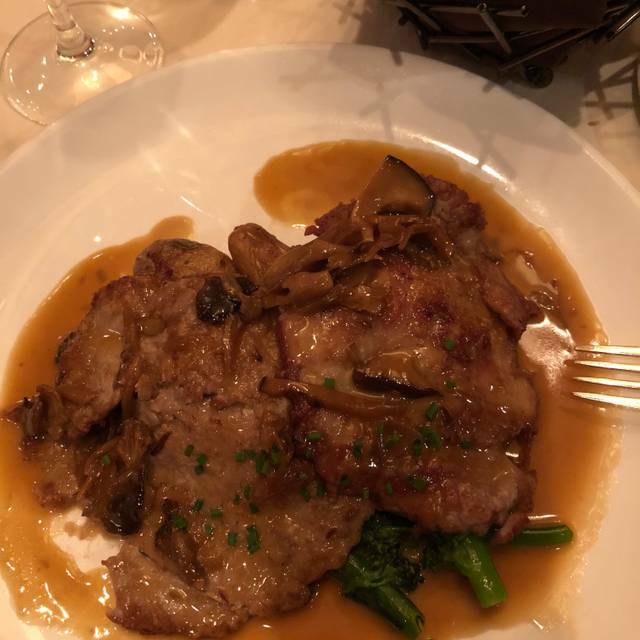 The halibut was excellent and the veal Marsala was very good. Extensive wine list but missing a good New Zealand Sauvignon Blanc by the glass. Negatives are it is on the pricey side and it was noisy. Katie, our waitress was fantastic! She went out of her way to make our evening great. My wife has a wine allergy, even when cooked in food. After talking to the chef she went over every item on the menu to explain which ones my wife could order safely. Many thanks Katie. This was our first visit and because of you we will be back! Nothing special. 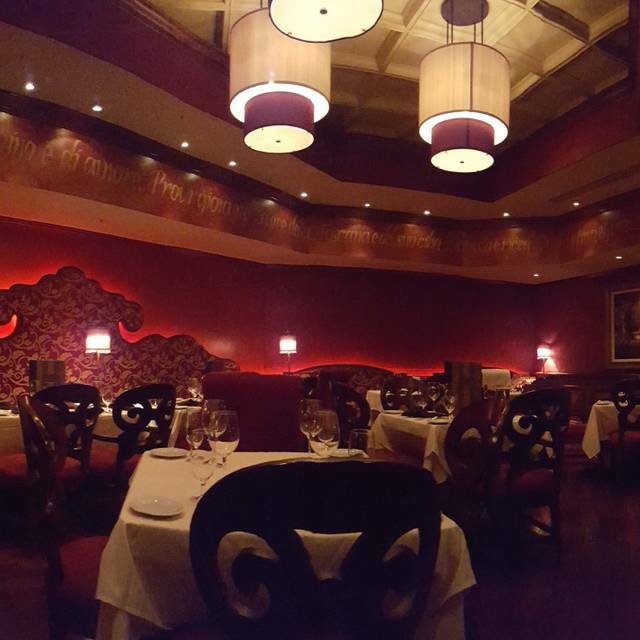 We were in the mood for good Italian food and came across Angelina’s online based on the positive reviews. The food just didn’t live up to the reviews or the price point. The overall ambiance wasn’t our style either with everything being red with dark cherry wood. Would not have mattered if the food was delicious, but this just added to our irritation of picking the wrong spot for dinner. 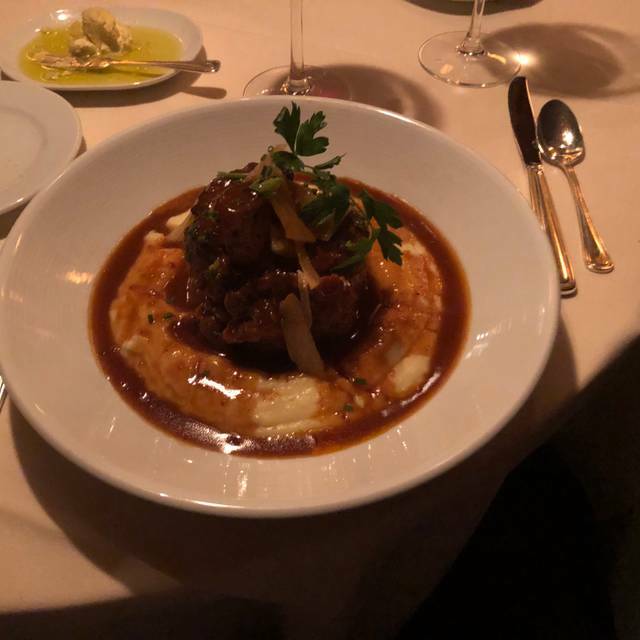 Angelina’s Ristorante is an upscale fine dining establishment in Bonita Springs, Florida that will wow you with outstanding service from the time you get out of your car. The valet, host, waiters and servers will attend to every need under the watchful eye of a management staff who will guarantee every detail of your visit. Their menu features a selection of appetizers, fresh seafood, meats, home made pastas made with 00 flour for a light texture available in a small or entrée size as well as a vegetarian selection. Their menu changes with the seasons. They also offer a happy hour menu in an enjoyable bar area which includes a pianist who provides entertainment. The unique aspects of this restaurant features a notable wine list housed in an incredible vertical wine tower in the middle of the restaurant surrounded by chandelier dining booths that provide an intimate dining atmosphere that cannot be found anywhere else. 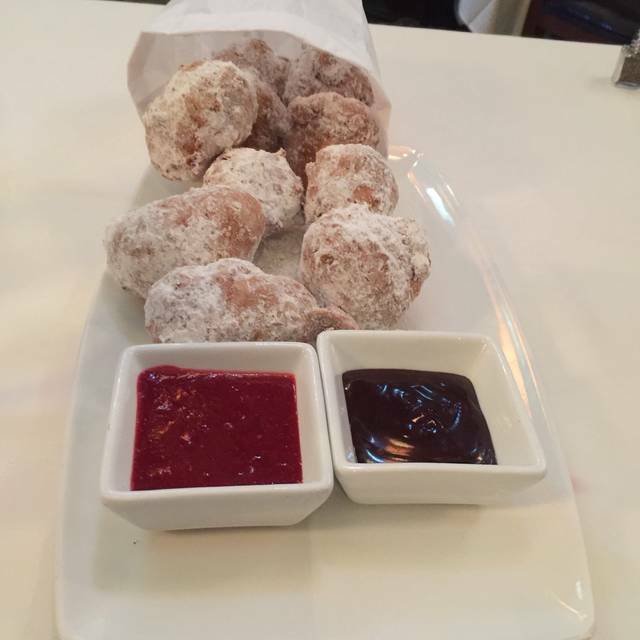 Their “zeppoli” signature dessert is another unique experience that cannot be duplicated or found anywhere else and rivals the famous “beignets” in New Orleans. Nice atmosphere and very good food. A tad on the pricey side. A beautiful restaurant to celebrate special occasion. It. was our anniversary and we got a private table in the Wine Tower Room. The waiter and staff couldn't have been more gracious. The food was fabulous and they even prepared a special dessert for us. Angelina's is the best Italian restaurant in SW Florida. Everything about it is excellent. Great food, service and Kerry in the bar. A perfect night. Oh, and our favorite greeter who valets the car! Such an experience. We had a wonderful dinner in this cosy place. We'll come back for sure. Excellent restaurant with wonderful service and ambiance. The Manager, Steve, was very very attentive and our waiter, Antonio, was the best waiter I have ever had anywhere. He was so knowledgeable about wines as well as the menu items. Thank you for a wonderful dining experience. Excellent in every way. Service, food preparation, ambiance, professionalism. Wonderful cuisine, service and atmosphere! Lovely cocktails and piano music prior to dinner. As always, Perfecto. Katie, our server made great suggestions for all of our tastes. Our friend has very restrictive dietary requirements and Katie was able to accommodate her needs perfectly. We highly recommend Angelina's! We go there often for happy hour. This time we sat in the dining room for a quite relaxed dinner. Everything was perfect from the greeting at the hostess stand to the final bill. The service and the food always good, we are never disappointed. Our dinner was great. Had a table of 5 and our server Denise was fabulous. She has a great personality and provides excellent service. The food was excellent and as always the presentation was flawless. We got their early 5pm, so wasn't quite as busy which kept the noise level down. Our waitress, Denise, was just lovely. Knowledgeable, very helpful and extremely kind. Not something you find too often. All four of us thoroughly enjoyed our meals. The gluten free pasta was terrific. We will definitely return! Impeccable service from Katie our waitress. From the mushroom soup, to the caprese salad to the veal chop and acron squash ravioli- fantastic. The wine list is spectacular and can meet the needs of any wine enthusiast. We will gladly return and tell all of our friends. Great food and service. Like most restaurants they tried to seat us in a less than desirable table(in a doorway) when we arrived even though there were other tables available. We chose to wait for another table to be bused before being seated. This place is so good, I would have sat in the doorway. If you have not eaten there, give it a try. You won't be disappointed. All of us (party of six) enjoyed everything about Angelina's. The wife and I have dined there several times and have never been disappointed with the food or the service. Very disappointing experience! 10 min wait before we even saw a waiter to order drinks. The noise level was very high. We asked if we could possibly be seated in the interior of the restaurant. We were moved to the bar and left there for an hour. We finally decided to give up and leave. It took 15 min to finally pay for our drinks. The manager came over. No apology. He just said “ I can’t do anything for you”. We went to Fontanellas Italian restaurant and were bowled over by the food and the service. Angelinas is not like dining at MacDonalds! 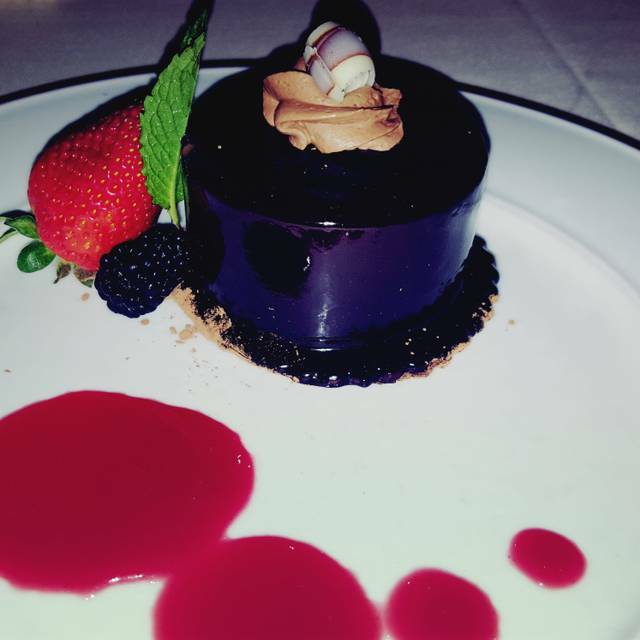 We brought friends from out of town expecting the upscale food and service we were accustomed to at Angelinas. We won’t be back. The only employee we saw with exemplary service was the valet person. Perhaps the restaurant staff could benefit from his performance! We have been to this restaurant 3-4 times and every time we go it’s exceptional. 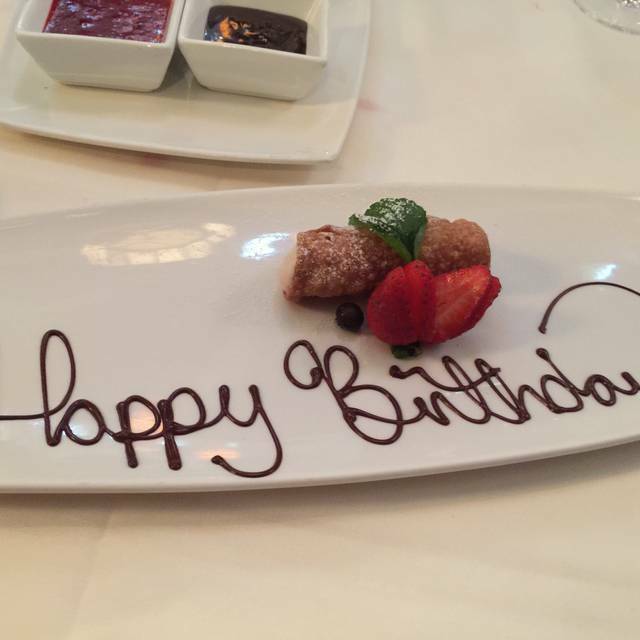 From the service to the food, always exceptional. Reservation was made for six and we were seated at 6:05 at the latest For the prices and selections on the menu I felt it was a bit pricey. The wine selection was very good The service was at a five star restaurant level. Food & service was exceptional. Really appreciated valet service on a rainy night. Bar was very crowded & noisy but dining room was cozy & comfortable. Our waiter Nick provided outstanding service! Mushroom soup was hot & delicious, also had half portion of butternut ravioli and left full. The complimentary after dinner limoncello was a very nice surprise. We love Angelinas. Food is superb. Food was delicious, as always! Service was terribly slow! My family and I are foodies. My sister has been here a number of times over the years. This was my dads 92nd bday. The service was exceptional from the girls at the door to the servers. We ordered angelinas salad, mushroom soup, ultra finely chopped ingredients with just the right amount of thickness and unforgettable flavor, mini arancini with creamy risotto and cheese, pappardelle, veal angliotti, the sauce was delectable, rigatoni with sausage, lots of delicate layers of flavor, halibut with bacon ziti, firm and tasty, filet mignon, lamb chop and pork osso buco. For dessert we had the donuts. Their Italian margarita was exceptional. All the drinks had unique homemade ingredients. We came back a few days later to listen to kary play the piano in the bar. Come with your suggestions he’s amazing.